Lego Dimensions is a ridiculously ambitious crossover of all things pop culture, bringing together characters from popular movies, TV shows, comic books, toys and games in one massive mash-up. However, until now the latter category there – video games – has been a bit under-represented, with only Portal 2 flying the interactive flag. That’s finally changed with the Midway Arcade level pack. Having already treated us with individual level packs focusing on The Simpsons, Back To The Future, Portal 2, Doctor Who and Ghostbusters, this sixth and final (for now) level pack is aimed squarely at retro gamers, particularly those who had a soft spot for ‘80s arcade games. 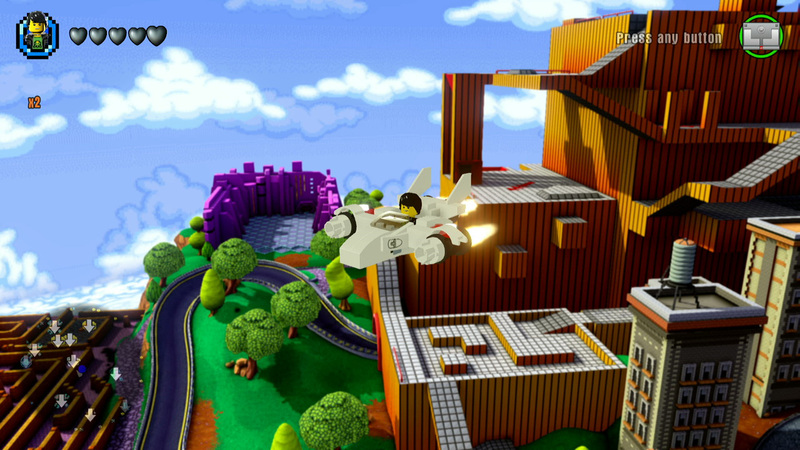 What may surprise you, though, is that this isn’t really your conventional Lego game level. 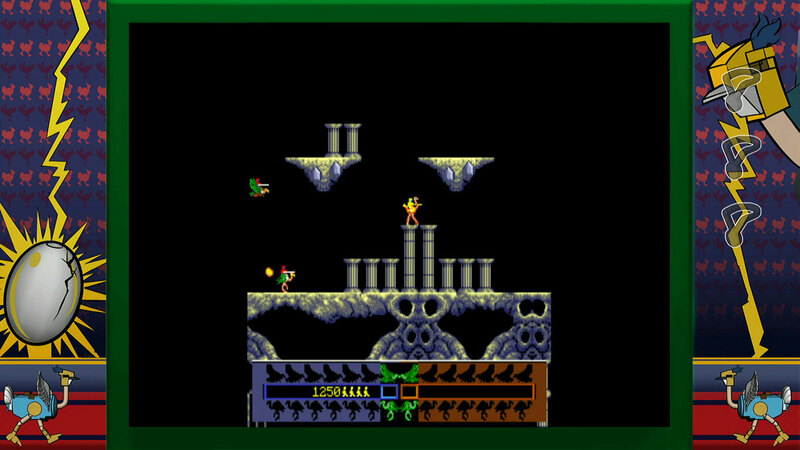 Instead, it’s more of a retro gaming compilation, a bit like the old Midway Arcade Treasures games back in the day. Considering Midway’s been out of the game (ho ho) for some time now, I thought it would be worth getting you up to speed in case you’re one of those pesky youngsters who thinks the ‘80s were all in black-and-white. Midway Games used to be one of the biggest names in arcade gaming. 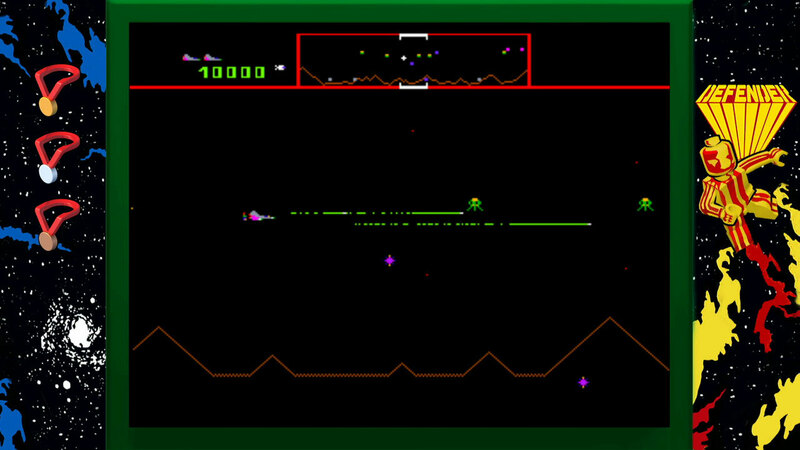 Midway was responsible for numerous coin-operated classics, including Mortal Kombat, Spy Hunter, Rampage and NBA Jam. 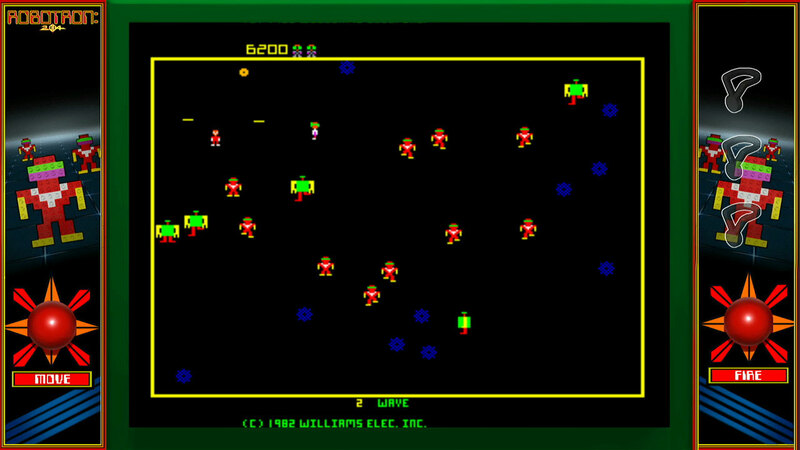 In the late 1980s, Midway was bought over by Williams, who back in the day had created its own gems like Defender, Joust and Robotron 2084. 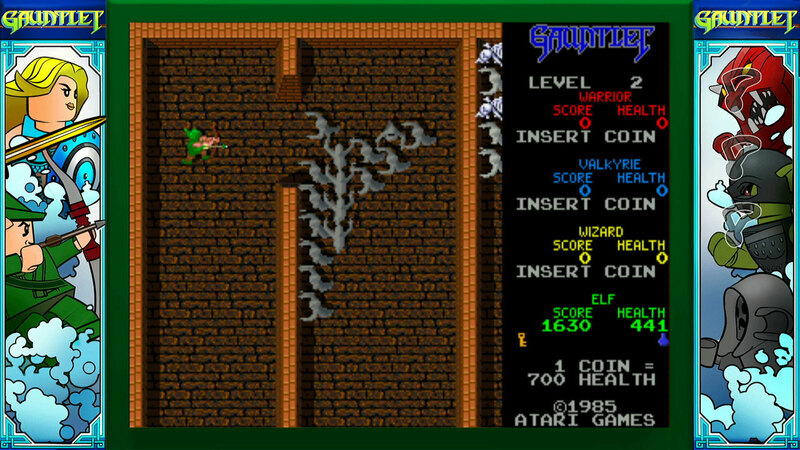 Williams then bought Atari Games in 1996, adding Atari’s own critically-acclaimed arcade games like Gauntlet, Paperboy and Super Sprint to its ever-growing back catalogue. A few years later, Williams sold off its shares in Midway, making it a standalone company again. 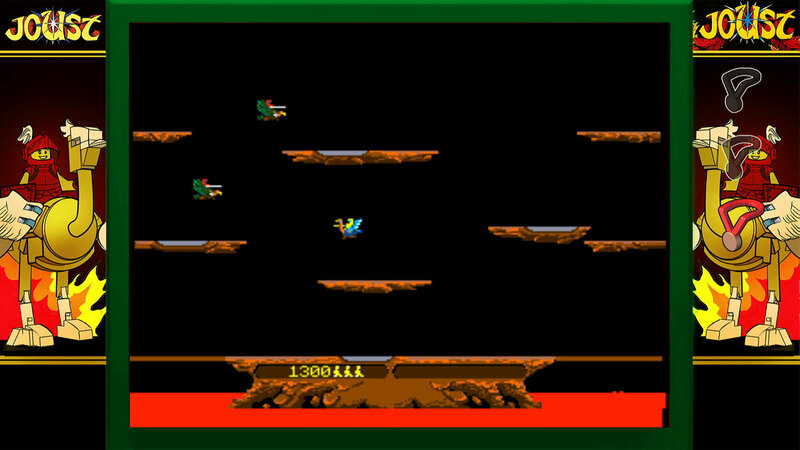 Midway was allowed to keep the rights to the old Williams and Atari arcade games as part of the deal. Although Midway went on to become the fourth-biggest game publisher in 2000, the 21st century was not kind to it and it went bankrupt in 2009. Here’s the thing though: most of Midway’s assets were then bought over by Warner Bros, who publishes – you guessed it – Lego Dimensions. 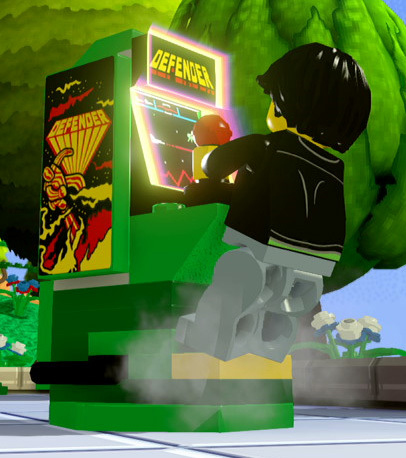 And that’s the story behind why Lego Dimensions suddenly has a bumload of old arcade games in it now. It’s a little odd that even though this is technically a level pack, the level itself is probably the least interesting part. The plot’s fairly loose – a retro gamer kid is walking past a boarded up arcade, when all of a sudden the door bursts open and loads of characters from classic arcade games burst out. The young lad wanders into the arcade, where he discovers he has the ability to bring the machines back to life. That’s about it really. 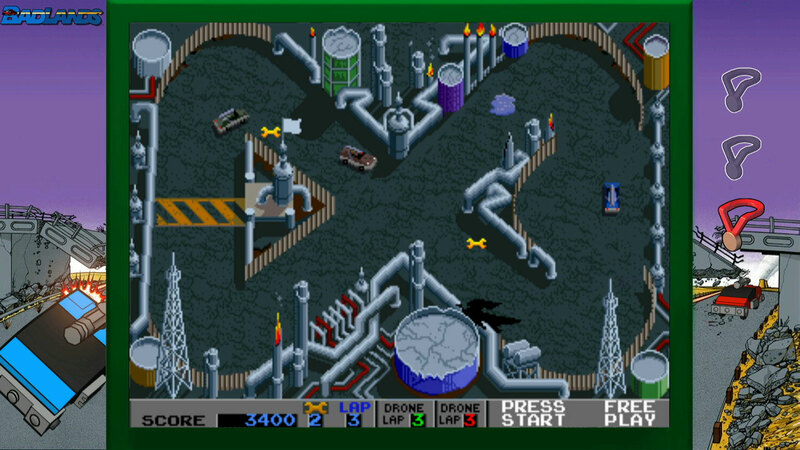 The vast majority of this level, then, entails wandering around the various dark and dingy rooms of the old building and solving standard Lego game style puzzles so you can build special dock areas for your magical arcade machine to sit. 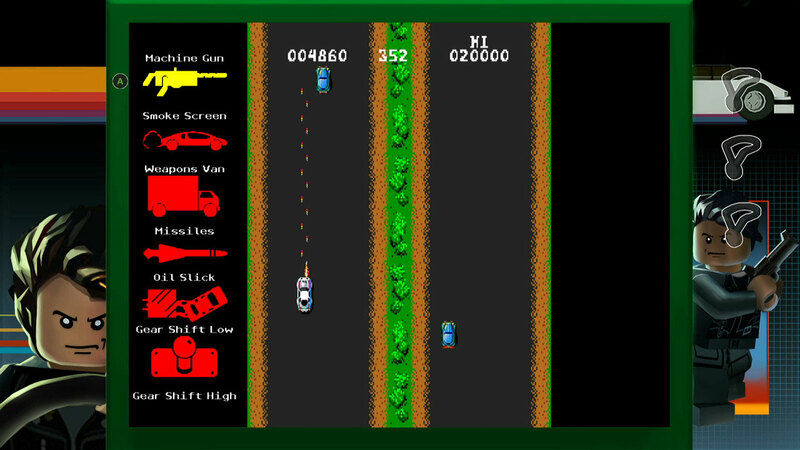 Similar to the TARDIS docks that can be accessed by The Doctor, each arcade dock takes you somewhere unique – in this case, to a different classic Midway or Williams arcade game. More about those in a second. 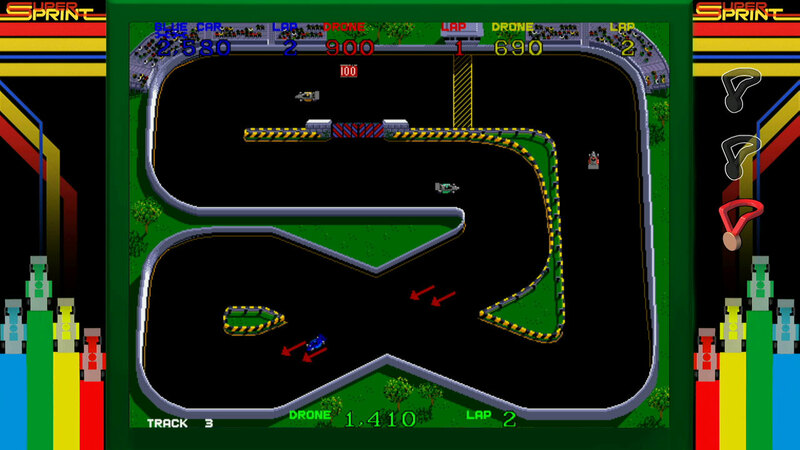 The overall aim is to set up each arcade dock, play the games and reach a certain high score in each. This turns on a series of lights that, once all lit up, activates an elevator which takes you to a roof and the final game. Generally, the level itself here is fairly uninspired. It’s just a large abandoned building. Granted, there’s some nifty ‘80s-style music in the background, and there’s a fantastic hidden Paperboy area near the end of the stage if you have a flying vehicle lying around. 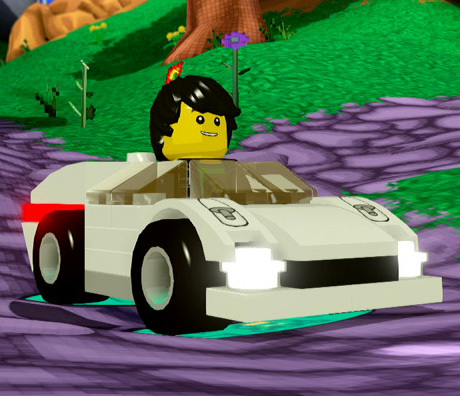 Despite this, judged on the level alone you might think this isn’t the best Lego Dimensions add-on pack out there. You’d be wrong, mind. But that’s because this level pack isn’t really about the level. It’s only an elaborate hub for the real meat: the arcade games. 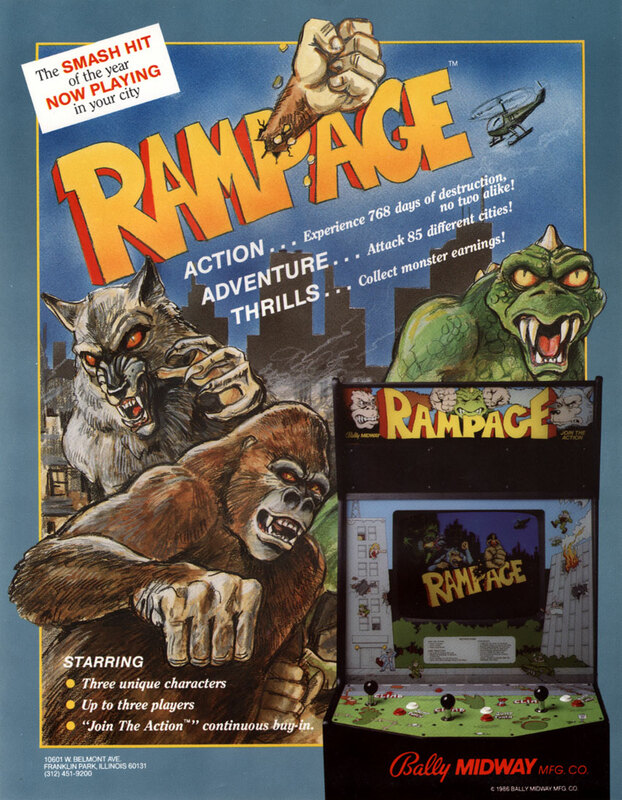 There are a grand total of 23 different arcade games included with this level pack, covering all manner of classic releases from Midway, Williams and Atari. These aren’t like the Midway stage in the main Lego Dimensions story mode in which you play Lego-ised recreations of each game – they’re the actual, legit arcade games and they run perfectly, with lovely wee comedy Lego arcade borders around them. Each has a score challenge, where you get a bronze, silver or gold award depending on your final score. Get gold and you’re showered with a ridiculous number of studs, making these games by far the best way to accumulate in-game currency for upgrades. 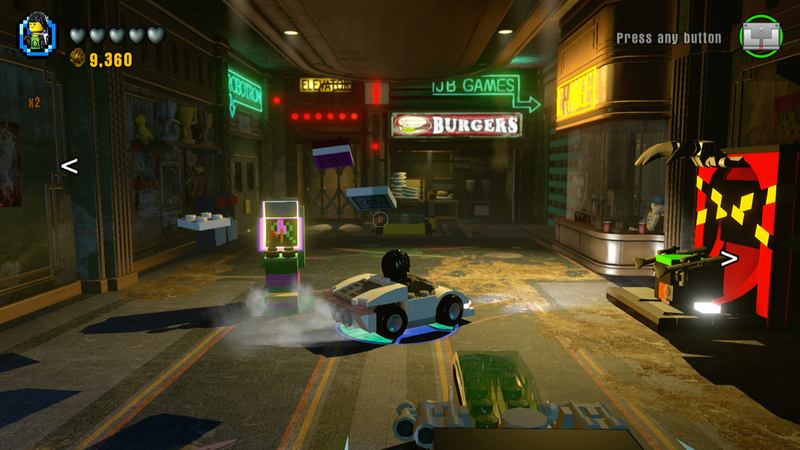 While many of these arcade game hubs can be found in the included level itself, others can be found in other Lego Dimensions stages (mostly the ones in the main story mode). 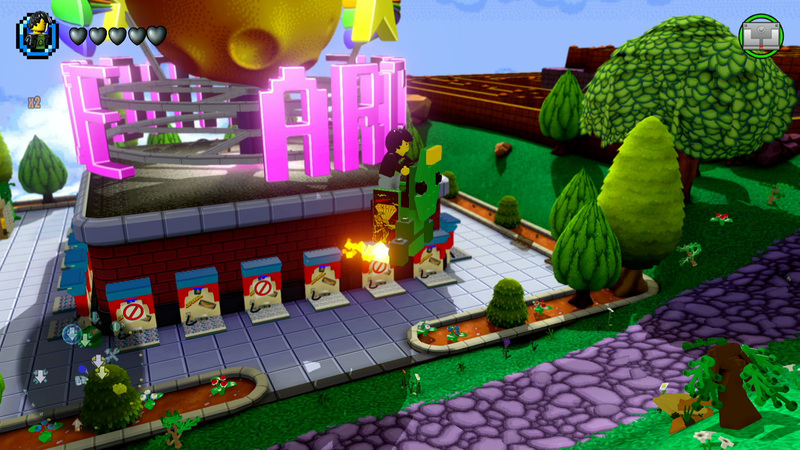 Once you play one for the first time, it’s unlocked in a little arcade hub section in the Midway adventure world, meaning you don’t have to fight halfway through a level every time you want to play a certain game again. It’s worth bearing in mind, though, that three of the arcade hubs are found in other level packs, which are sold separately. If you don’t have the Simpsons level pack, for example, you won’t be able to unlock robot American football game Cyberball. What this essentially means is if you don’t have the Simpsons, Portal 2 or Back To The Future level packs, the total number of arcade games on offer is 20, not 23. If you’re curious, here’s a list of every game on offer. 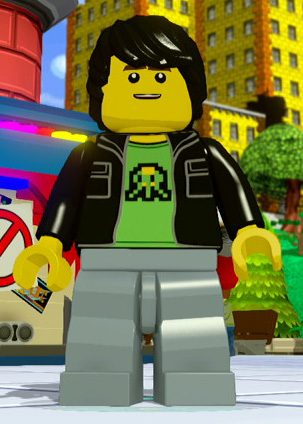 Of all 44 playable characters in Lego Dimensions, the Gamer Kid is the only one who’s a generic chap created just for this game (that’s being generous to the Jurassic World ACU Trooper, mind). You’d think this would make him one of the least entertaining characters to play as, but thankfully that isn’t quite the case. His voice acting is a little hit or miss – since he’s a gaming obsessive he keeps dropping smart-arse, fourth-wall breaking comments. Some of them made me roll my eyes. When he dies and respawns he asks: “What? No permadeath?” And when you remove his figure from the base to take him out of the game he shouts “Ragequit!”. Quite. That said, other comments did get a chuckle out of me. Put him next to Portal’s Chell and he’ll ask her whether it’s pronounced ‘Shell’, and during the game’s lengthy rift loading screens he’ll yell: “Best loading screen ever!”. In terms of how he plays, he’s got a healthy selection of abilities, though they’re a little unwieldy to access. You see, Gamer Kid can change his shirt design at will. There are five different designs and you switch between them at the press of a button. Just be prepared for a lot of toggling between shirts and can-drinking. 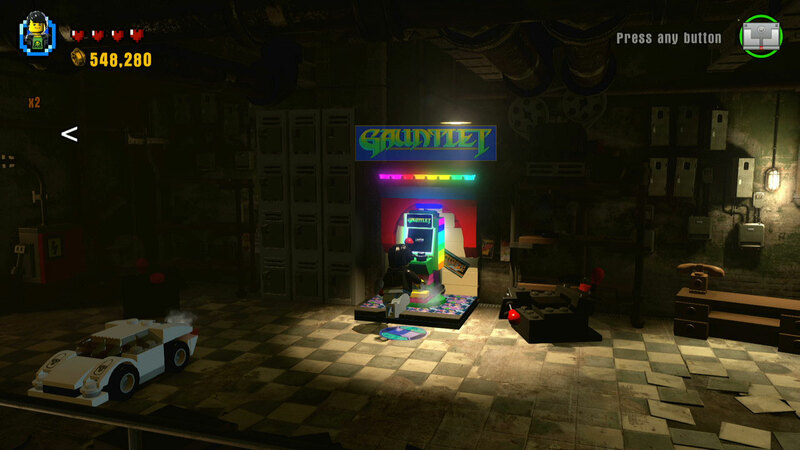 Of the two gadgets supplied in the Midway Arcade level pack, the Arcade Machine is the most important because, like the TARDIS before it, it’s the only way of activiating a certain gameplay mechanic. In this case, as previously described, it’s the only way to active the arcade docks you encounter on your travels. Placing the Arcade Machine on a dock will power it up and let you play a specific game. Upgrade it again to The Pixelator and it becomes less useful. A bit like the Proton Pack’s third form in the Ghostbusters level pack, it’s a turret gun that does little more than gun down enemies. 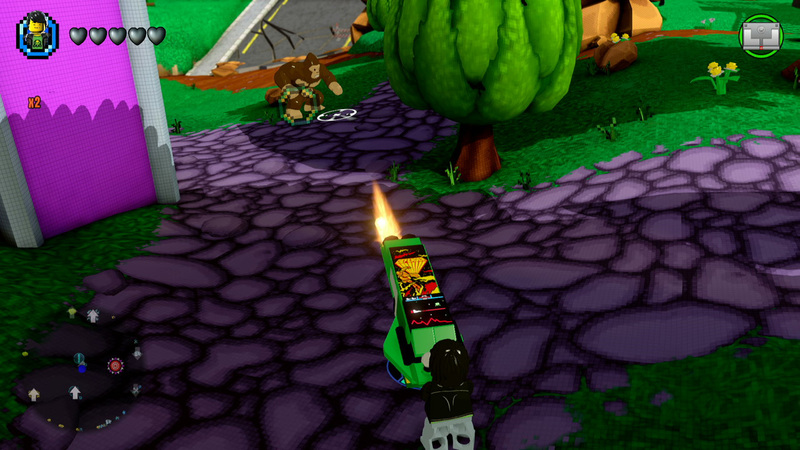 One nice touch, though, is that when you shoot enemies with it they die with a jerky 8-bit style animation. 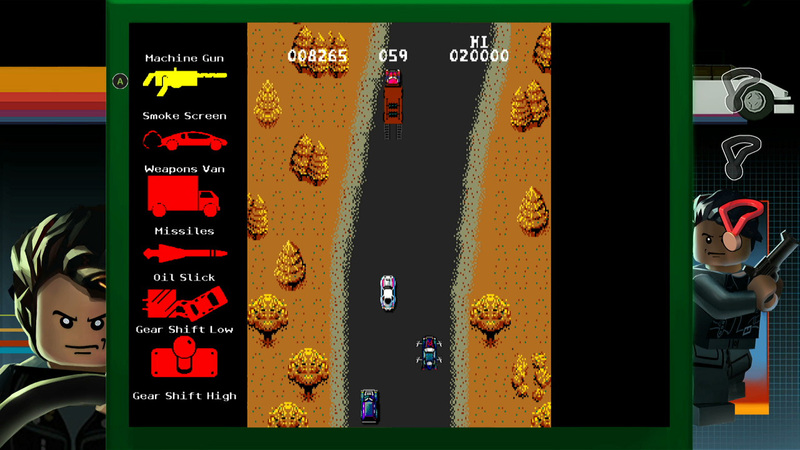 Gamer Kid’s other bundled goodie is a vehicle, namely the titular car from Midway’s Spy Hunter. As far as vehicles go, it’s actually one of the most useful in the game because it’s one of the few that can do the hat-trick and travel on land, sea and air. Your enjoyment of the Midway Arcade level pack for Lego Dimensions will mainly come down to one question: are you a retro gamer? If (like me) you are, then you’re going to love it. With 23 immaculately presented retro games on offer, each with their own score challenges, this easily offers more than any other level pack purely in terms of hours of gameplay. If you aren’t really interested in the days of 8-bit and 16-bit arcade gaming, or you’re getting it for a child who couldn’t care less about older stuff, then you might be left a tiny bit disappointed. The arcade games are very much the meat of this package, and the level that hosts them (the Paperboy area aside) feels like little more than a hub world with very basic puzzles unlocking each game. 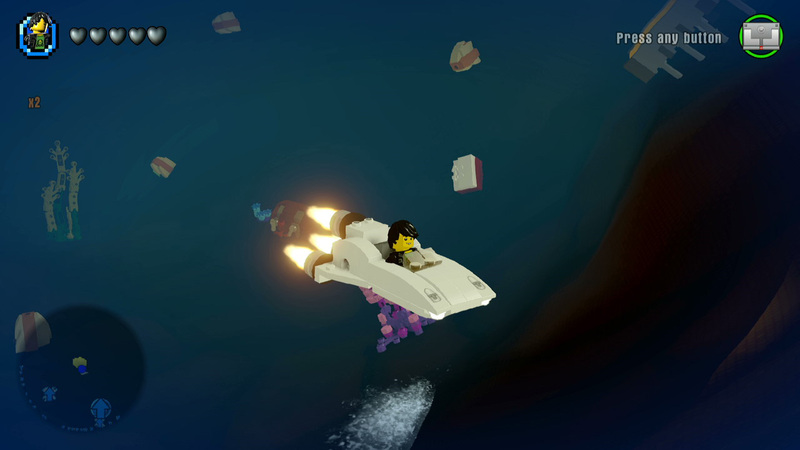 The previously released level packs still play like traditional Lego game stages and as such still can be enjoyed by those who don’t really care about the licence – I don’t really care about Doctor Who but still thoroughly enjoyed the Doctor Who level pack. But since so much of this one is literally playing old arcade games from the ‘80s and early ‘90s, if that sort of thing doesn’t float your boat that isn’t magically going to change. Me though, I bloody love it. 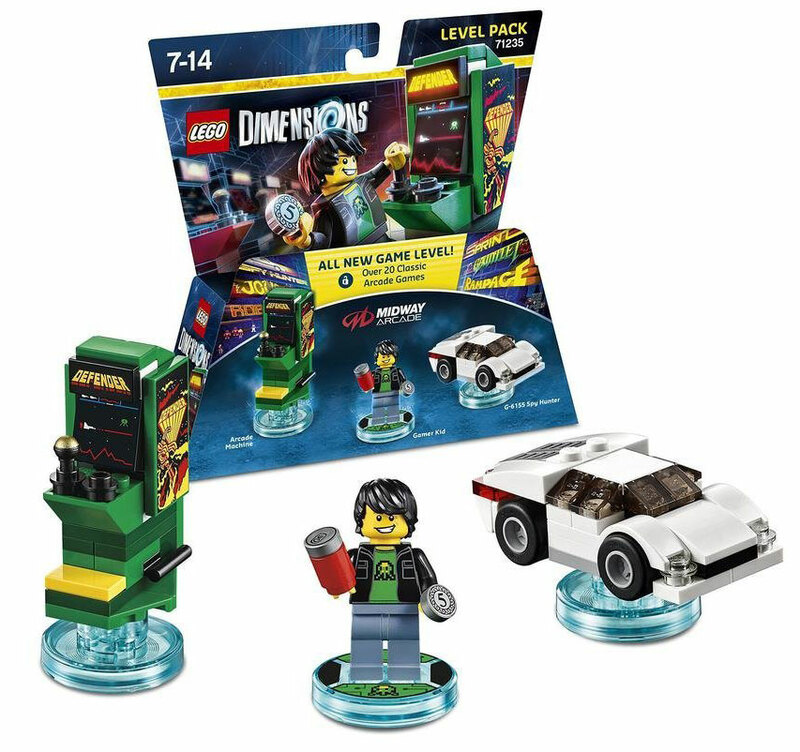 If you want to buy the Lego Dimensions Midway Arcade Level Pack and fancy doing it through Amazon, please do it using this link: Amazon UK. It won’t cost you any extra and a cut of the profits will go to me, letting me invest back into improving the site. Disclaimer: Whereas I bought the other five Lego Dimensions level packs, this review was written based on a free sample sent to me by Warner Bros. This did not affect my ability to give it a fair and honest review.